Home and property owners of Tacoma, WA are very particular about their trees and this is the reason why they only trust arborist for their maintenance. Tree care is best done by professionals or certified arborist having significant experience. Arborist can make the trees look healthy and grand, ultimately making the property look great. Thus, people should only call certified arborist for tree care services. Our arborist can plant new saplings, ensuring their proper growth. 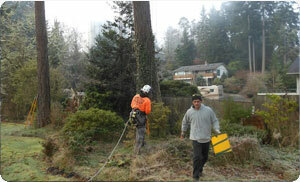 The team of our arborist Tacoma can restore damaged trees successfully. Arborist of our firm can also carry out a thorough inspection of trees. An arborist is skilled to climb on tall trees for inspection and tree care. 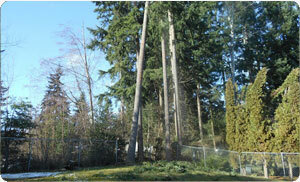 Trees can be groomed and made to grow in a special way by a certified arborist Tacoma. Our certified arborist can help trees get rid of insects and pests. Our team of certified arborist Tacoma can increase yield of fruit trees. All kinds of tree diseases can be diagnosed by our certified arborist Tacoma. Our certified arborist is trained to prune trees to make them look better. Trees growing around structures can be handled by our certified arborist. Why Choose Us for Tree Care Services in Tacoma? Our tree care services prevent trees from dying from diseases. 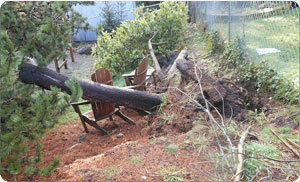 Our tree care Tacoma experts can advice greatly on legal matters. Our tree care professionals provide nutrients for their better growth. People can get our tree care services at the most reasonable prices. Tree care Tacoma services provided by save your time and money. For more advice on tree care, residents of Tacoma can call arborist of Hunter's Tree Service at 253-777-1938. Our certified arborist would be pleased to work with you anytime.